I was quite surprised to get all these finds. All in the river never the less! This area was good picnic grounds in the late 1800, and also flour gold prospecting back then. 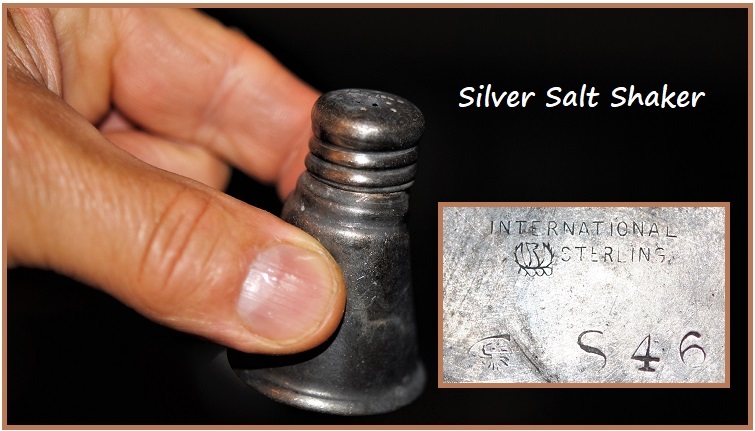 Close to the river's edge, deep in the sand, came this beautiful sterling silver salt shaker. I knew it was too heavy for aluminum, and was delighted to see a sterling silver stamp plus a silversmith's stamp! It doesn't get much better then this! How's this for an old cartridge! Enough power there to take down an elephant. Here's some info I got on the internet. "It was fired in the Winchester 1886 Rifle & Carbine. Probably was available in the 1885 Hi-Wall as well. 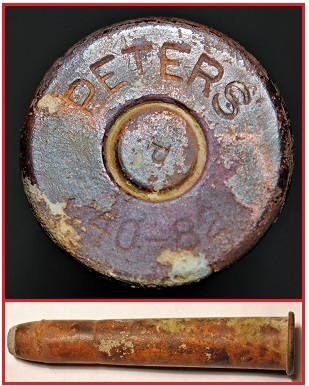 It was/is a powerful or heavy duty (as you call it) cartridge for big game and is still popular for Elk. It would certainly do a number on bigger bear as well. It is a center fire type and uses large rifle primers. With a magazine full of these cartridges in an 86 there wasn't too much that you had to be afraid of in North American woods." 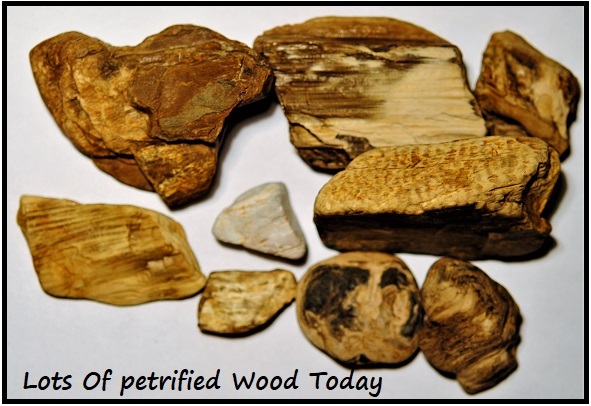 Because I shoveled gravel into my high banker for a good 4 hours, I managed to get a nice pile of petrified wood. 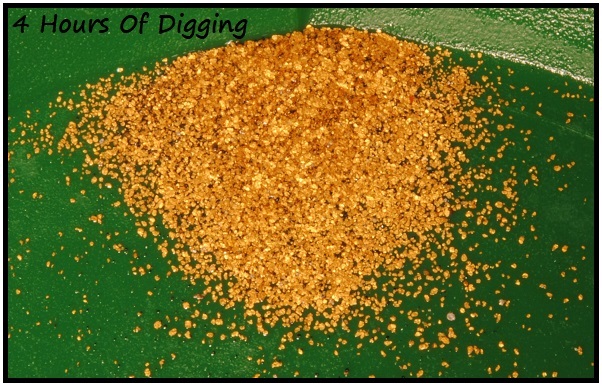 And, the finest (pun intended) flour gold from the previous day prospecting, same stuff our early settlers searched for. 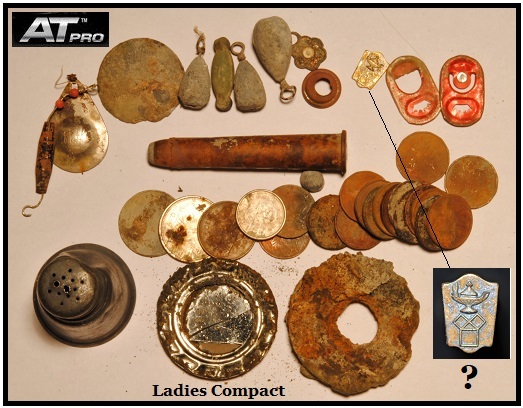 Nice to see metal detecting and prospecting both sharing the same terrain, and each getting their own great finds.